Manufactured in accordance with OPSD 705.020. Standard opening size – 400mm diameter. 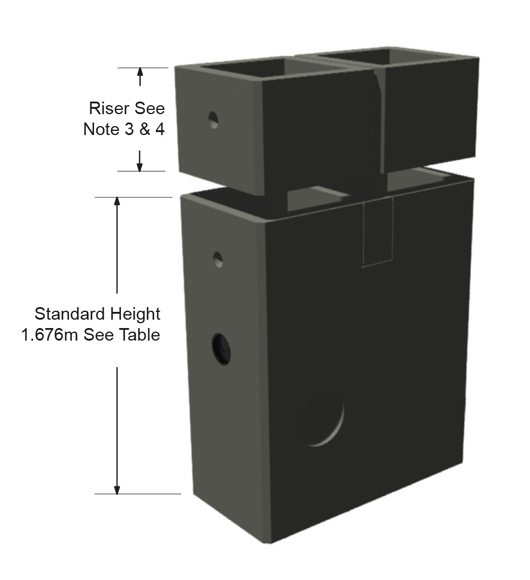 Vertical height may be increased by using two single catch basin riser sections. 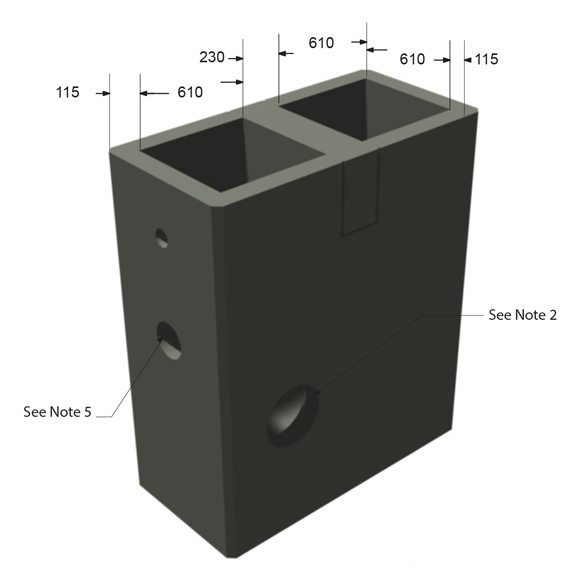 See page 81 for available riser sections. 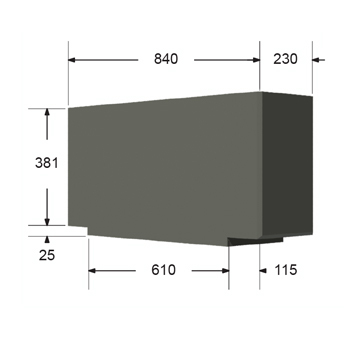 Riser sections available – 305, 457, 610, 914, and 1219mm. 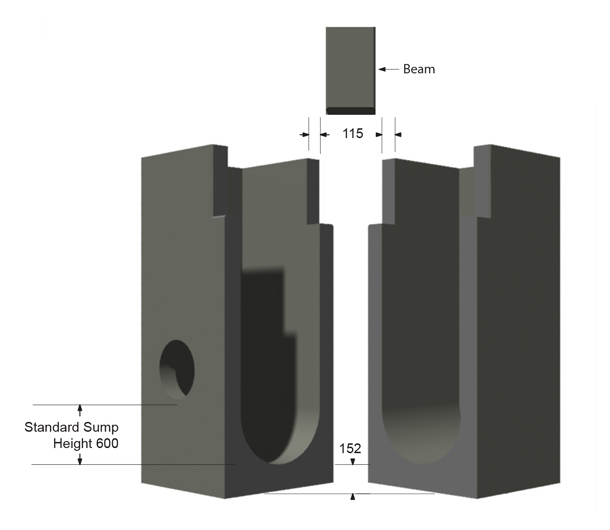 Subdrain connection insert for 100, 125, and 150mm diameter standard on all stock twin inlet catch basins. GOSS traps available upon request.